The Aesthetic Technologies Lab is engaged in the work of defining a new discipline. We join like-minded facilities that are unbound by classic disciplinary constructs and are rooted in the culture of creative practice. Our work values the ways in which cross-disciplinary practice strengthens, and specialized knowledge broadens the foundation of a collaborative team and can lead to brilliant invention and innovation. 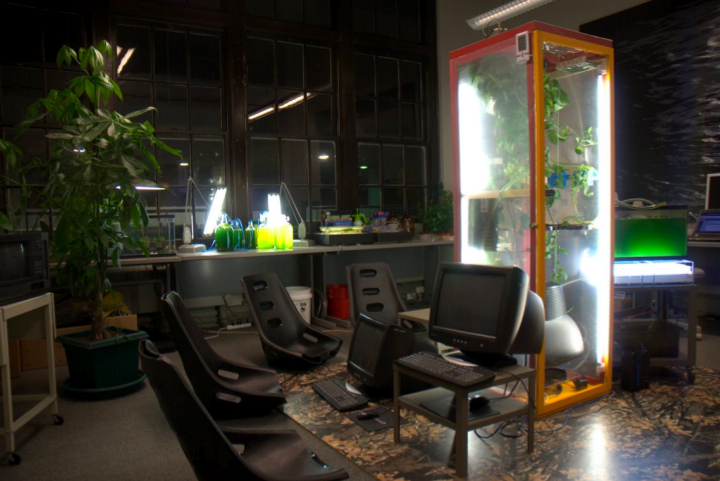 The Aesthetic Technologies Lab is where artists and scholars meet to migrate ideas from concept to pedagogy, project, or product, and to transform the expected into the innovative. It is a diversely-equipped facility where artists and others find assistance, community and access to unique tools in order to experiment, create, examine, refine, and share works to impact new audiences, colleagues and culture. The @ Lab is among a community of university facilities related by a working process in clarifying and defining an emerging discipline where creative practice, technology, and collaboration converge to reveal a nexus for new forms of expression, new modes of production and new ways to impact our audiences, both locally and globally.